These days it seems you can’t walk a block without passing by a new development site in Bed-Stuy. At the once gritty intersection of Nostrand Avenue and Kosciuszko Street, there are no less than 4 residential buildings underway. The furthest along in construction is a 42-unit residential building taking shape at 276 Nostrand Avenue. 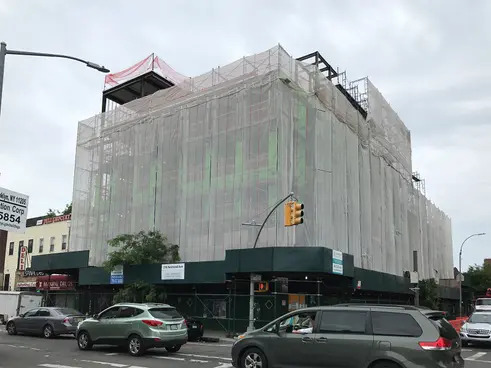 The owner of the parcel is listed as Yoel Kohn’s 276 Nostrand LLC who purchased the 11,813-square-foot lot for $7.5 million in 2016, according to city records. The lot previously held a nondescript two-story commercial building. 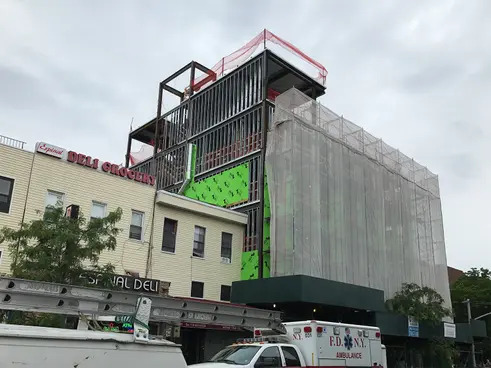 Now topped out, 276 Nostrand’s steel-frame rises 6 stories and will be enclosed in a textured façade with golden accents designed by Input Creative Studio. The corner condition is highlighted by a dark-colored volume that setbacks at the fifth floor and the building will scale down to 3-stories along Kosciuszko Street. Per DOB filings, there will be ground floor retail space, a 21-car parking garage, and an indoor recreation space. The building sits atop the G train’s Bedford-Nostrand station, and the line offers several connections into Manhattan. 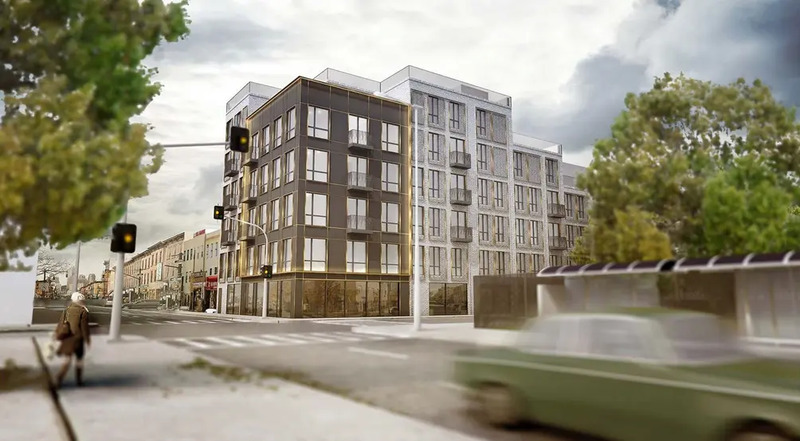 Directly across Kosciuszko Street from the building, Park Developers and the Allure Group are planning a 241-unit apartment building at 270 Nostrand. The development should wrap up construction by year’s end and we’ll be sure to announce when leasing begins. Per our rental search, the median price of a Bed-Stuy studio is $1,938/mo., one-bedrooms are $2,249/mo. and two-bedrooms are $2,495/mo.